A number of extra tickets have been made available for The Fall's upcoming gig at London's The 100 Club, and you can now enter to win your chance to get a pair. The gig, set to take place on July 27 as part of the Fred Perry SubcultureLive series, will see Mark E. Smith and co. play the venue for the first time. Goat Girl and Andrew Weatherall have also been newly confirmed to play on the night. To enter the competition to get your hands on a pair of tickets for the gig, click here and make sure you're quick. 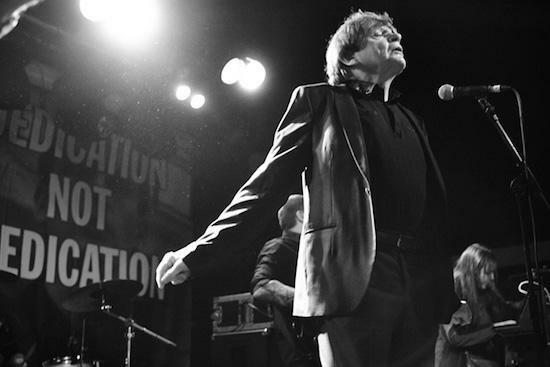 You can read our recent feature in which we called upon a number of people to choose their favourite The Fall song, in celebration of Mark E. Smith's 60th birthday, here.